In September 2015 the MenB vaccine was introduced in the UK for routine use in babies – the age group at highest risk of developing meningitis and/or septicaemia. Beyond five years of age, teenagers are the age-group most affected by this deadly disease. Despite this, the MenB vaccine was not introduced for teenagers. One reason for this decision was cost. Current evidence suggests that teenagers not previously vaccinated against MenB would need two doses of the vaccine to be protected. But over time, thanks to the infant programme, most children will have been vaccinated as babies. It is possible that when these children become teenagers, just one dose of the MenB vaccine would boost immunity enough to ensure protection. This would greatly reduce the cost of a teenage MenB programme and provide the opportunity to re-evaluate its cost-effectiveness. The babies involved in the first clinical trials of the MenB vaccine, led by Oxford Vaccine Group, are now approaching adolescence. This unique group of children offers the first opportunity to investigate whether a single dose of MenB vaccine could successfully boost infant immunity. In this study, researchers from Oxford Vaccine Group, will recruit children vaccinated in the original clinical trials. The team will also recruit children of the same age, who have not been vaccinated against MenB. A blood sample will first be collected from each child to find out if those vaccinated against MenB as babies, have retained any protection. All children will then be vaccinated to enable the researchers to compare how the immune response differs between those who got the MenB vaccine in infancy and those who did not. Ultimately, the results from this study will help develop a strategy to protect teenagers against MenB. 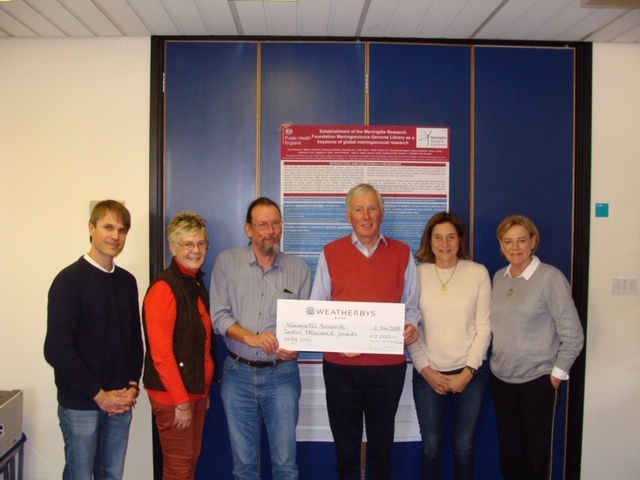 A cheque for that amount was presented to Professor Ray Borrow, one of the study investigators, at the Manchester Research Laboratories on Friday, 2 November 2018. 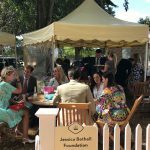 This latest donation is in addition to a previous donations of £30,000 and £40,000 from the Jessica Bethell Charitable Foundation towards the same project ongoing project.